The external spectrometer also named as the Isolde Solenoidal Spectrometer (ISS) comprises a hexagonal tube of position sensitive silicon sensors placed along the axis of a 4T ex-MRI solenoid magnet. 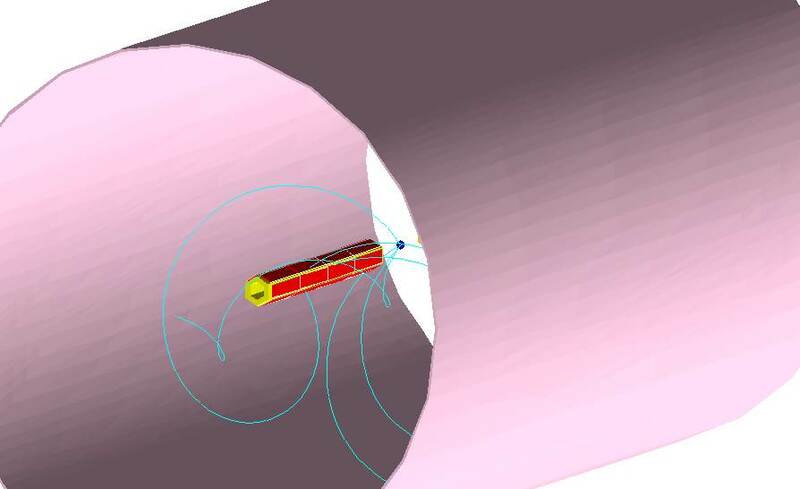 A thin plastic foil “target” containing hydrogen nuclei will be placed near the centre of the magnet and bombarded by beams of accelerated radioactive nuclei provided by HIE-ISOLDE. The ions emitted in these nuclear reactions will be bent by the magnetic field so they follow spiral paths until they reach the silicon tube, which will measure their energies and positions where they strike the sensors. These measurements will allow scientists to learn about the forces at work inside atomic nuclei and study some of the nuclear reactions that are thought to take place in exploding stars, leading to the creation of heavy elements. 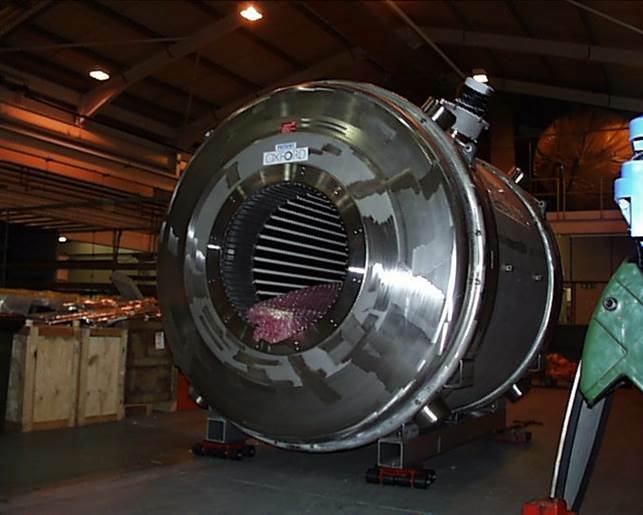 The solenoid magnet to be used for this project is an OR66 ex-MRI magnet that was previously used for medical imaging research at the University of Queensland's Centre for Advanced Imaging in Brisbane, Australia. Its purchase was jointly funded by the STFC and the University of Liverpool and it was transported to CERN in early 2016.The picture of the magnet below was taken in Brisbane prior to its shipping to CERN. 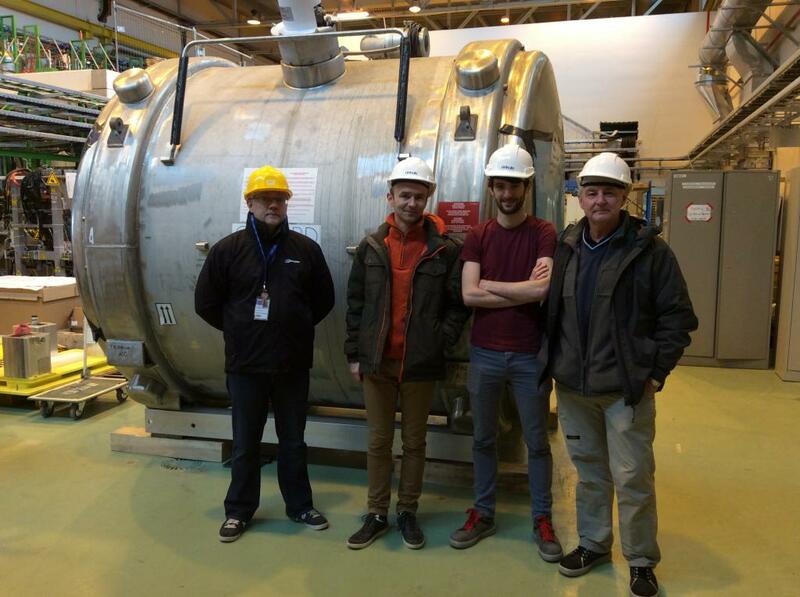 The magnet was successfully cooled down and tested at the begiinng of 2017 at CERN, and was positioned at the end of one of the three Hie-ISOLDE beam lines where it will be exploited. Below is a picture of the magnet at its final location inside the Hie-ISOLDE cave.